Exceptional value in this Landmark home that it is fully upgraded! This is your opportunity to purchase a wonderfully constructed, built, designed home that is energy efficient. The Canmore offers 3 large bedrooms, 2.5 bathrooms, and a DOUBLE attached garage on a HUGE pie lot. 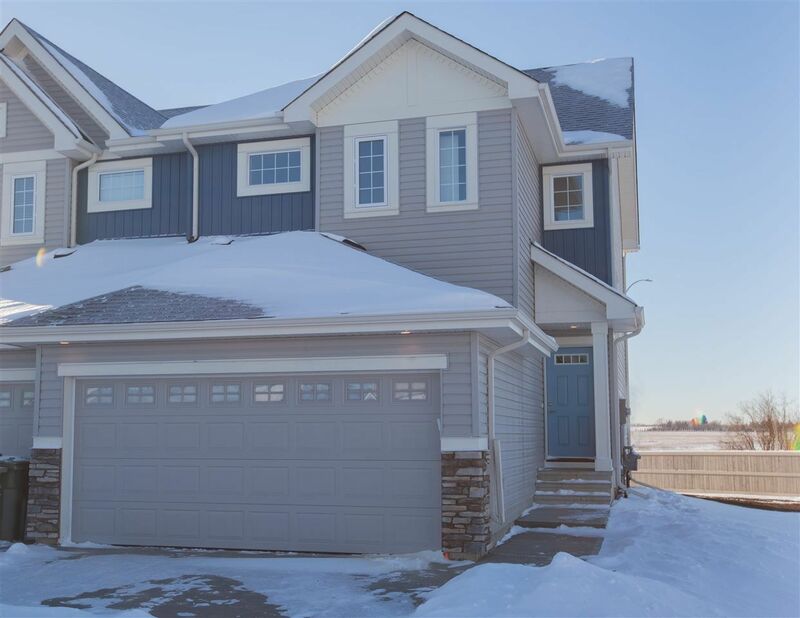 Enjoy luxury living in this executive home with some of these great features: 7’ quartz kitchen island, s/s appliances, soft close cabinetry, 9’ ceilings on the main floor, luxury vinyl flooring, soft close cabinetry, & glass panel railings. The main floor is open and elegant and has a spacious and functional kitchen that is perfect for entertaining. Off the kitchen is a spacious dining room and cozy living room. This home is energy efficient, with a tankless hot water system, triple pane windows, HRV system and a smart Ecobee thermostat. These features will keep your utilities low.Located in Dansereau Meadows and is walking distance to the school and is minutes to Edmonton and the EIA. Do not hesitate on this one-exceptional value!